Costa Rica - ¡Pura Vida! After publishing 5 books, Chirripó, Gandoca Manzanillo, Guanacaste, Costa Rican Beaches and Magical trees of Costa Rica (Published under the wing of the Non-Profit Organization Magical trees of Costa Rica). And participating with the photography for some other books published by third parties, we decided it was time to publish a complete book about Costa Rica. We decided to name it Costa Rica, Pura Vida. because it includes a dosis of every ingredient that makes Costa Rica so special, not only the wildlife, greenery of its forests, the volcanos, rich coasts, rivers and waterfalls, sunsets and sunrises, but also the culture and people, the life style of the Ticos. Hard Cover and jacket, 248 pages, 337 colorful photos, 9.75 x 11.25 inches. Made with high-quality materials and FSC-certified paper. Chapters: North Pacific, Central Pacific, South Pacific, San José, Mountain Ranges and Volcanos, Caribbean. Includes 8 illustrated maps with detailed information. The Magical Trees book was published December 2010, as the kick start of the Magical Trees Foundation. 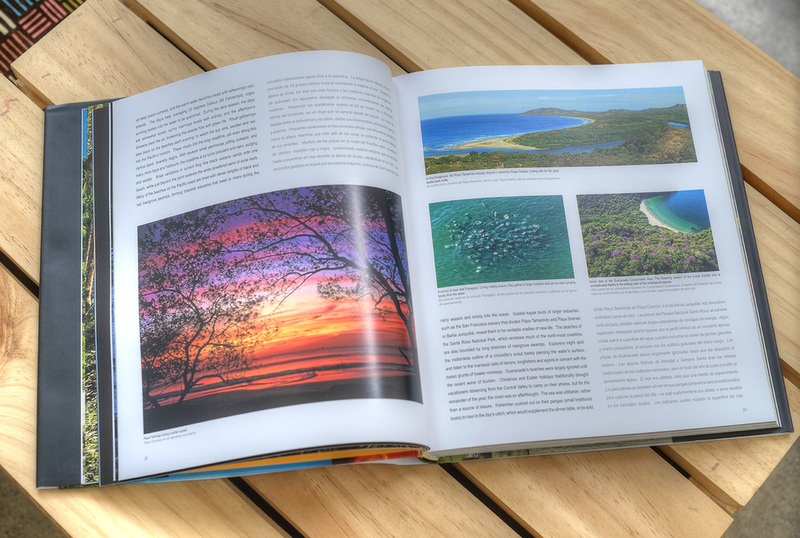 It soon became a best seller that sold out it’s first edition, and published an enhanced and improved second edition on 2012, with more than 200 pictures of 65 different species of trees representative from the Costa Rican landscape. This organization is a non-profit whose vision is to be a bridge that – by reminding us of our vital bond with trees – reconnects people to themselves, to each other and nature; to be the catalyst for a positive transformation of society. It was born as a means of sharing the magical re connection experience at this critical moment when re-connection with the nature that sustains us is vital to our species’ survival. 100% of the sales of this book are dedicated to the Foundation, and the photographers (Giancarlo, Juan José and Sergio) donated all of the pictures for the book. Magical Trees focuses on different projects, such as executing educational modules on schools and reforestation projects on biological corridors on several locations in Costa Rica, this with the avid support of organizations and volunteers. Since 2011 it’s coordinated and led the planting of over 15.000 trees and taken it’s educational module to more than 3000 kids on various Costa Rican schools. With the support of thousands of volunteers that ad up more than 5000 volunteering hours. The book is printed on certified FSC (Forest Stewardship Council) from sustainable managed plantations. The poetic texts were beautifully written by Jaime Gamboa, renowned costarrican writer and musician. If you want to support the organization visit www.magicaltrees.org and find out more. 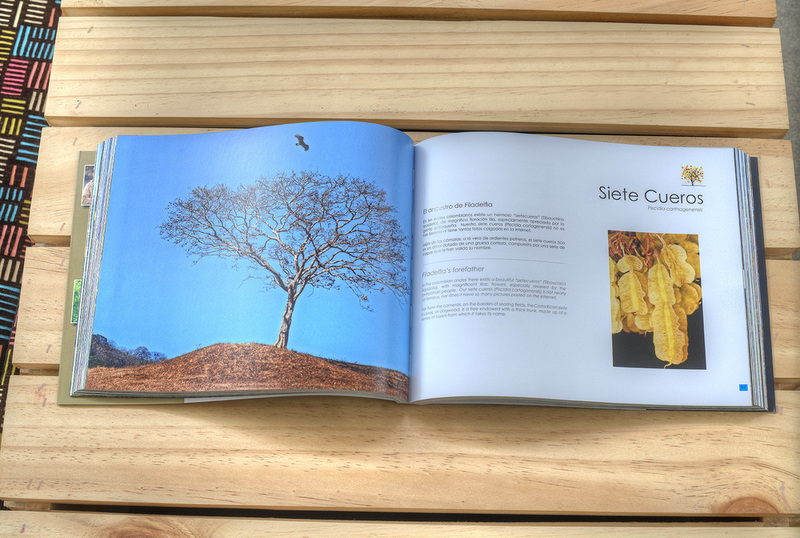 Best-selling photography book in Costa Rican history. A three-year adventure, flying over Costa Rica in every type of aircraft. This book is a collection of stunning moments. Coastlines, volcanoes, rainforests and dry tropical forests, waterfalls, rivers, mangrove swamps, turtles, whales, gulfs, towns, cities, parks, cyclists, religious pilgrims and children ... when seen from the air, nothing is irrelevant. Includes an illustrated map detailing the journey of the book’s making. Best Seller in Costa Rica since its release in December 2014. This book tells the story of Costa Rica’s many magical forests, from the highlands to the lowlands, complete with historical and scientific facts. Hard Cover, 256 pages, 320 colorful photos, 10.8 x 8.4 inches. Wet Forests of the Pacific, Dry Forests, Wetland, Mangroves, Cultural Forests.